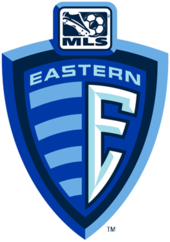 Nine of the ten Eastern Conference teams were in action as Major League Soccer began its eighteenth season. Week one had it all, a come from behind victory, last gasp goals, goal fests, a crushing defeat, and wild draw. It’s good to be back, isn’t it? 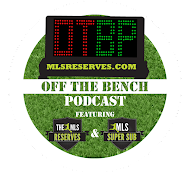 If you missed the Western Conference Weekly, check it out here. The eyes of the league were on Philadelphia as the first game of the season kicked off. The first half was almost all Philadelphia, with the Union controlling possession both before and after Sebastien LeToux scored MLS’ first goal in the 17th minute. Sporting would come ultimately wake up and begin playing in a manner more befitting their 2012 record. 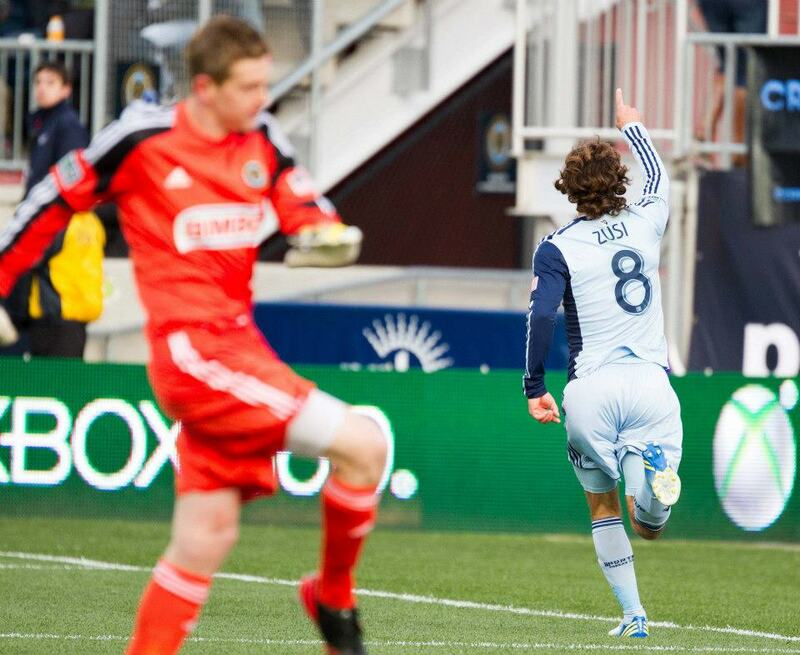 Graham Zusi scored on a rebound just before halftime, giving the team a much-needed boost. Sporting rode the confidence from their first goal into a much better second half. Oriol Rosell and new DP Claudio Bieler added to Sporting’s tally, leaving Union fans disappointed. Toronto lost another match, but they can hold their heads a little higher than before. Several of the Red’s new additions, especially Kyle Bekker, showed they can compete. Vancouver’s goal should have been defended better, but Toronto fans can take solace in the fact TFC is clearly on the upswing. In a rematch of last year’s Eastern Conference Final, D.C. United made the trip to BBVA Compass Stadium where they Houston Dynamo have yet to lose a match. To that effect, the Dynamo never looked like they were going to lose that night either. On the contrary, it didn’t look like D.C. was going to lose either. Homegrown goalkeeper Bill Hamid made some incredible saves and it looked like that was going to be enough to earn the Black and Red a point away from home. But then James Riley scored an own goal, and Ricardo Clark put the icing on the cake with less than a minute to go in regulation. There are nineteen teams in Major League Soccer, and eighteen of them don’t want to start their seasons with a trip to CenturyLink Field in Seattle. Montreal walked into one of the toughest stadiums in the league, and with a little luck (good and bad) managed to walk out the victors. Montreal’s captain Davy Arnaud scored the game’s only goal with ten minutes to go until halftime, and the Impact could have easily had three had the goal been about two inches higher and wider. Seattle battled back, and toward the end of the match the Impact were holding on for dear life, but Montreal managed a victory few would have predicted. In stark contrast the Impact, the Columbus Crew walked into an almost deserted Home Depot Center to kick off their 2013 season. The first half was fairly uneventful. Both teams had opportunities to score, but both sides failed to deliver. Even in the second half, the game was not the runaway victory the score line would indicate. Entering the final five minutes, the game was only 1 – 0 courtesy of Frederico Higuain. As the game drew to a close, Josh Williams scored a beauty off of a corner kick and Dominic Oduro did what he does best and ran half the field before notching one himself. One of the bigger surprises of the weekend, as everyone expected Chicago to be better than this. Things didn’t start too badly for the Fire; they had two shots go just inches wide early on. Then Mike Magee and the rest of the Galaxy but Chicago to the sword and cut them to ribbons. From goal #1 to goal #4, Los Angeles never gave up control of the game. 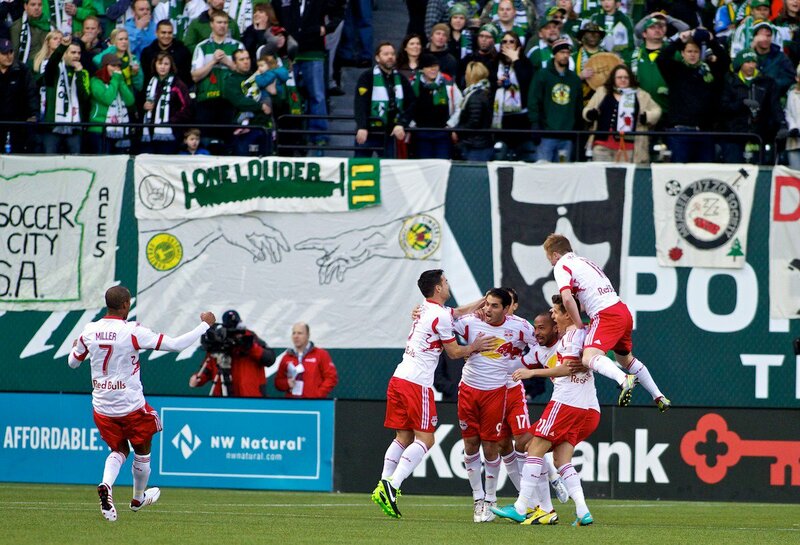 In perhaps the wildest game of the weekend, the New York Red Bulls failed to put in a consistent 90 minutes. It was all going New York’s way in the first half, with two opportunistic goals from Fabian Espindola and one more from the other former RSL man Jamison Olave. But from the whistle that started the second half to the closing whistle, the wheels fell off for New York. 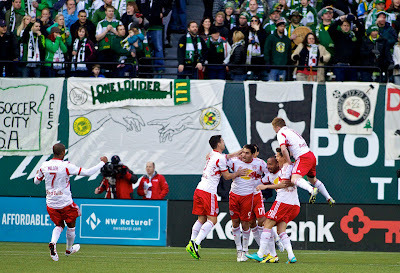 Portland managed to erase a 3 – 1 deficit and earn themselves a point. New York was denied even a sniff at goal, and was fortunate not to concede a penalty at one point. With no marquee transfers to speak of this week, the main headline has to be the new jerseys revealed by Houston, Kansas City, New York, Toronto, and Philadelphia. In my opinion, nobody really took a huge step backwards, though Houston and New York look a little too similar to last season’s shirts. Toronto FC will start their home campaign against tough opposition when Sporting Kansas City comes to town. D.C. will open their home accounts with a visit from Real Salt Lake, and Chicago rounds out the Eastern Conference home openers as they host the New England Revolution who will be playing their first match of 2013. The Columbus Crew’s travels continue as they head to B.C. Place to take on the Whitecaps, Montreal head to Portland, and the New York Red Bulls cross the country to take on the San Jose Earthquakes.